Last week my mother made macaroni salad… and it was really good. 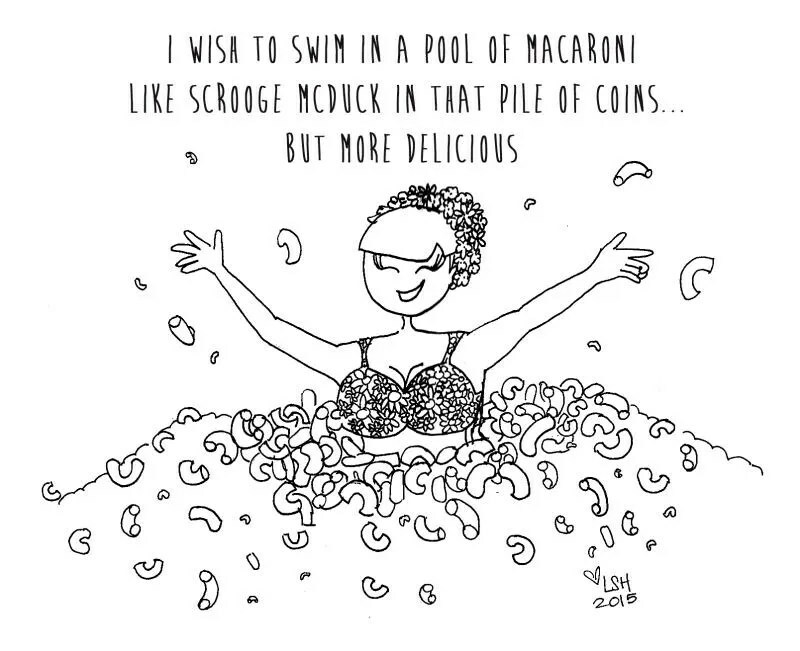 Macaroni salad pools sounds tasty. And refreshing if chilled Southern style. Watch out for the pimientos. There’s always something to look out for! Sneaky macaroni salad!! !